Southwest Healthcare System, a 2016 Top Workplaces honor by The Press-Enterprise, is looking for exceptional people who share our vision and values. We focus on clearly defined goals designed to bring about exemplary patient care. We give our employees the structure to achieve these goals by providing: advanced technological systems, processes and practice; performance improvement and patient safety standards to foster positive patient outcomes; a collaborative practice model; evidence-based practice; and education and development programs to support recruitment and retention. Southwest Healthcare System is owned by Universal Health Services, Inc. (UHS), which, through its subsidiaries, has been providing outstanding healthcare services to communities across the U.S. for more than three decades. The talent and dedication of all UHS employees is what make the company unique. UHS has a solid history of recognizing outstanding performers. Part of attracting and retaining talented people is giving people an opportunity to grow. UHS provides encouragement and financial backing for employees’ job-related training and continuing education. For those who wish to excel, the opportunities are significant. 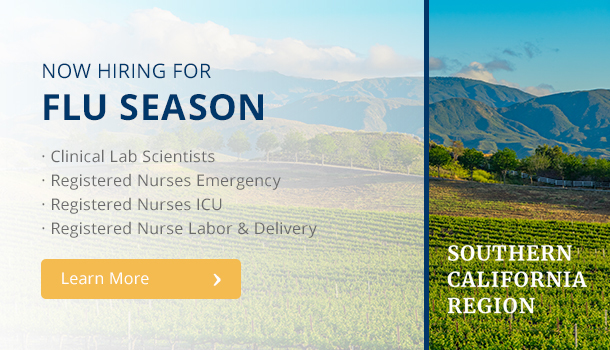 Southwest Healthcare System is recruiting for physician opportunities in a number of practice specialties. Please contact Hollie Garcia, Physician Recruiter, at 951-200-7386, or email her at Hollie.Garcia@uhsinc.com.